Everyone should be doing this. It's great. Here’s a quickie post before we all get going on our day. 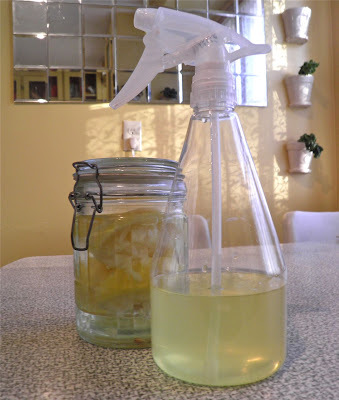 I have discovered one of the best kitchen “secrets” on how to make a homemade cleaner that will help replace window cleaner and other kitchen/house cleaners. It’s as simple as you can imagine: lemon rinds and vinegar. That’s it. Last week I made a lemon tofu (yet to post) and was thinking it was a shame to throw out the squeezed lemons. 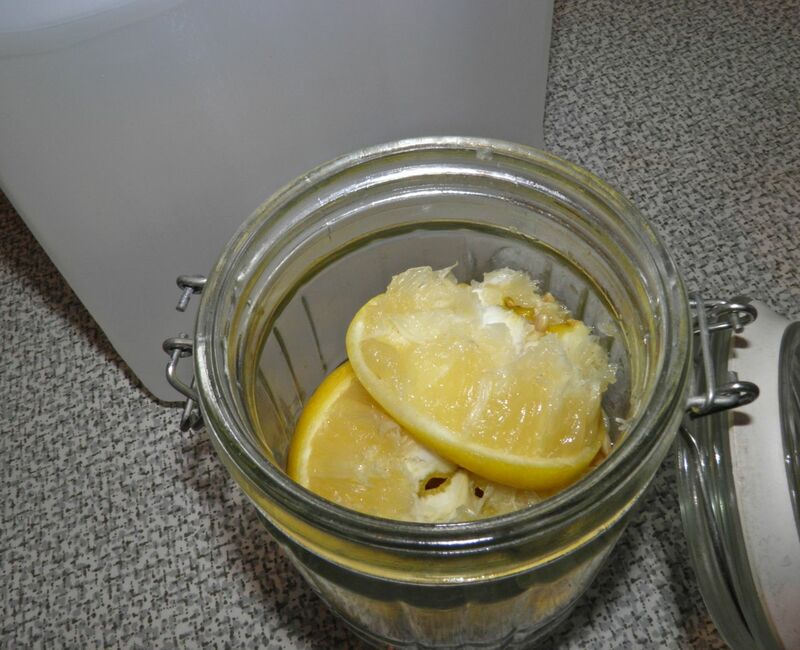 I placed the squeezed lemons in a sealable jar and topped them with vinegar. 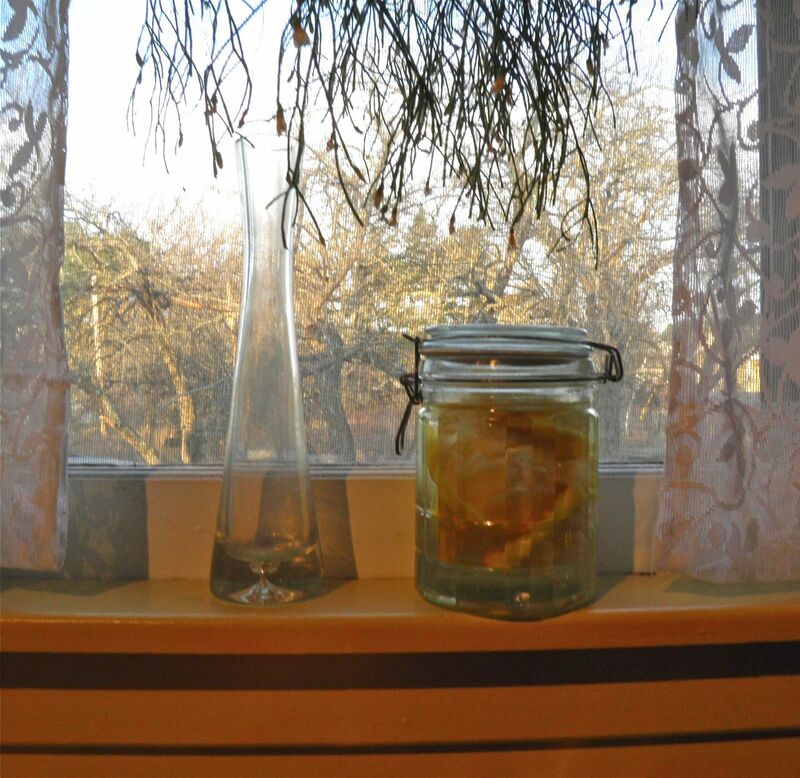 After sitting on the window sill (looking not un-aesthetically pleasing) I strained the result and bottled it. At first the mixture smells very vinegary, but within a week it takes on a very pleasant lemon smell. You could also do this with orange, grapefruit or lime – or a mixture. It cuts through grease splatters like nobody’s business and doesn’t leave streaking when used on glass. Vinegar is really cheap. The rinds were going to be thrown in the compost. I now have another batch brewing on the sill. The downside was I didn’t make enough! I have to use a bigger jar. So next time you’re ready to take those squeezed lemons to the green bin, think again. 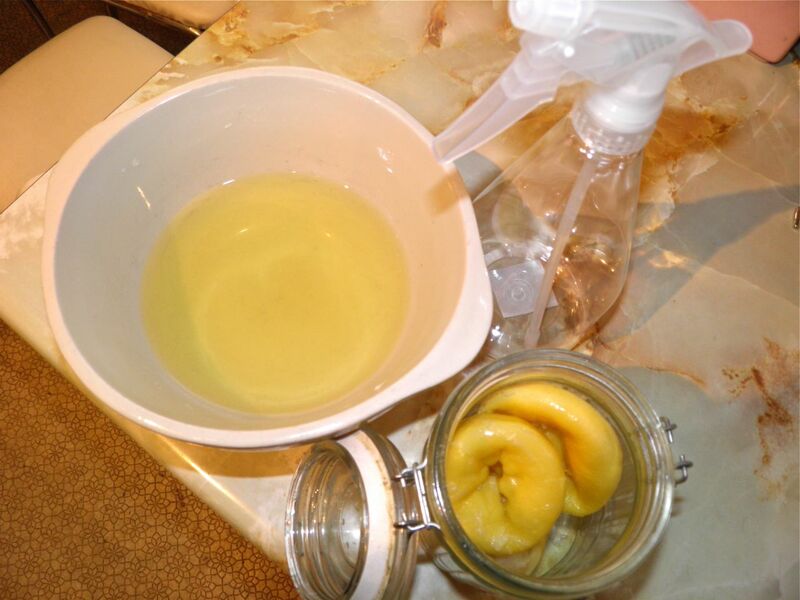 Keep some money in your pocket with this simple – and effective – homemade cleaner. I’m really, really pleased with how well this works. I’m sure you will be too. Especially since it costs a fraction of what we pay for commercial cleaners. My spray bottle came from a dollar store. 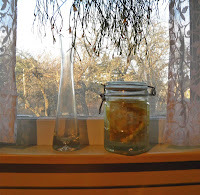 I have orange peels in a jar with vinegar to make Orange oil. Supposedly the oil from the peel mixes with the vinegar. I was going to use it in my steam mop with some water. Will let you know how it goes. 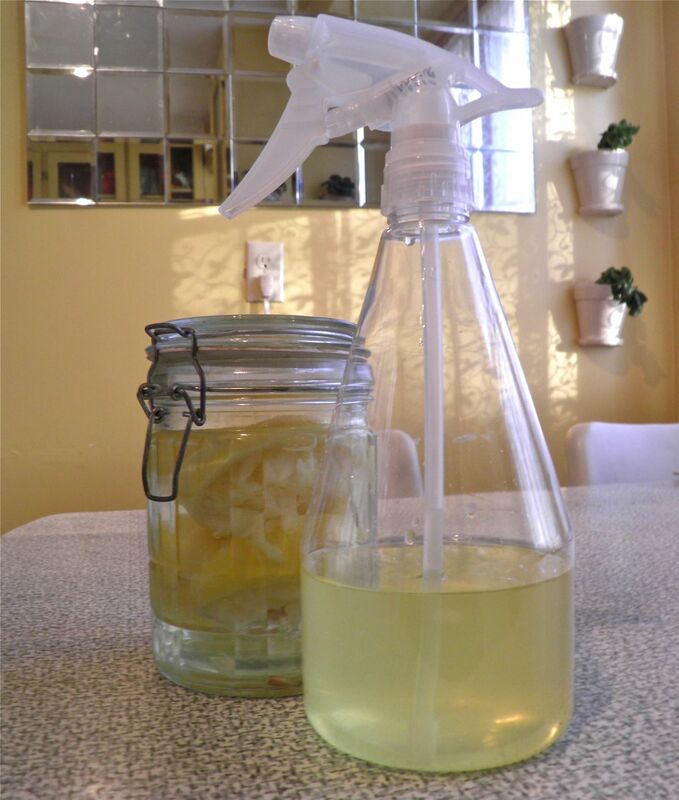 You can use the rind of lemons along with the juice and soda to clean the soap scum off your shower doors or tile or tubs. It smells nice and it works beautifully. Sprinkle soda and then squeeze the lemon so it bubbles let it sit for about 15 minutes then scrub with the inside of the lemon and it is perfectly clean and shiny. No sponge needed and smells great. Then rinse with warm water.